Mild tender greens. Mild tender greens. The flavor of komatsuna is somewhere between that of a mild mustard and cabbage combination. 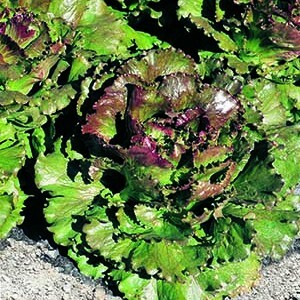 The young tender leaves can be mixed with other greens for salads or use more mature leaves in stir fries. Mild tender greens. The flavor of komatsuna is somewhere between that of a mild mustard and cabbage combination. 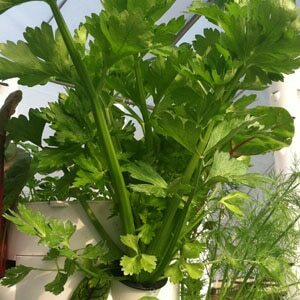 The plant is utilized for both its tender leaves as well as its flowering stems and can be eaten raw or cooked. 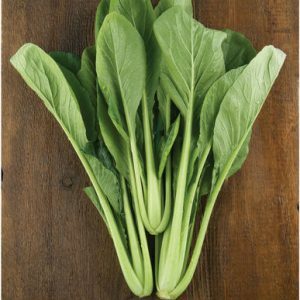 The young tender leaves can be mixed with other greens for salads or use more mature leaves in stir fries. Uniform, upright plants with slender, fleshy, rounded green stems and dark green, rounded leaves. Good heat and cold tolerance. The leaves can be harvested at any stage and can be snipped one at a time or the entire head can be taken. If you take just a few leaves, they will regrow and extend the length of time you have to harvest. Harvest before flowering. Clip young leaves when 3-6″ tall.